From 1659 to 1681, showcasing one's holiday spirit in Boston could cost you a fine of as much as five shillings. That's right  Christmas used to be illegal. It's somewhat surprising, then, that the same puritanical minds also created the first American batch of eggnog at Captain John Smith's 1607 Jamestown settlement. (The word nog comes from the word grog; that is, any drink made with rum.) 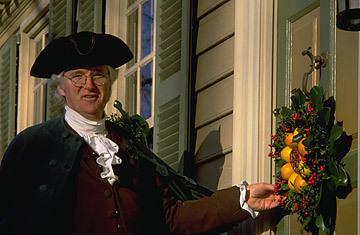 Christmas was so inconsequential in early America that after the Revolutionary War, Congress didn't even bother taking the day off to celebrate the holiday, deciding instead to hold its first session on Christmas Day, 1789. It took almost a century for Congress to proclaim it a federal holiday.